It’s a shame it wasn’t Hooters air! That’s promising, I just wish it was the 777 as I miss flying that bird! I wonder if this will help ORBX True Earth GB load I a reasonable time now? real-world Beatboxing - a novel way to aid boredom at the gate! 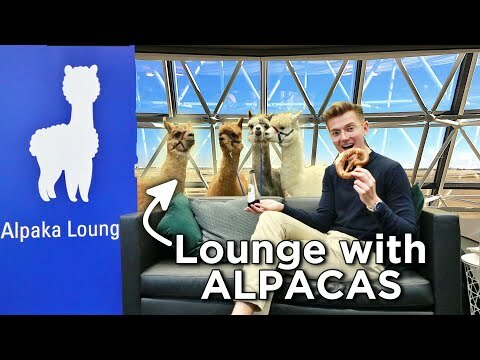 real-world Crazy new lounge at Frankfurt | stroke an alpaca before you fly?! This will make a very interesting place to fly in and out of. I just hope there will be more ORBX TrueEarth coming soon to cover Spain so that the boundaries of the airport don’t look too much like a DMZ or Trump’s Mexican wall! Another reason that I should consider P3D, especially now PBR has been added. I miss this bird in XPlane!